Oh dear me no: some cheap plastic, rear camera not on all models. The figures are out and Mazda has sold almost 66,000 cars so far this year, up from almost 60,000 last year. 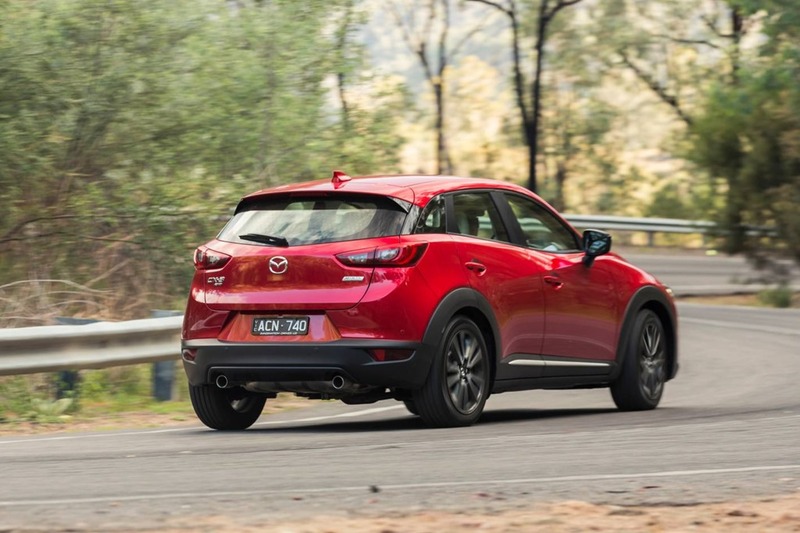 Mazda outsells both Ford with 40,557 and Holden at 59,632, with Toyota selling an astonishing 118,554 to date. The Mazda 3 leads the charge at 23,252, and is just pipped at the post by the Corolla from Toyota at 25,323. What does this all mean? It means this: the 2 biggest sellers in the country are Japanese, and both outsell the old Aussie favourites, Holden and Ford. Other interesting facts: large (non-luxury) car sales continue to plummet at 13% less than this time last year. As if that wasn’t disastrous enough, full size large cars (Caprice and 300c) are down a huge 49.4%. The luxury market remains more or less unaffected by this trend. SUV’s continue to rise with a total of 232,350 now making up 34.6% of all vehicles sold in this country which is up a massive 13.4% on last year at this time. I mention all these dull-as-dishwater figures to show the SUV market is continuing its rise and is now a behemoth created by the world’s fixation on lifestyle vehicles. When I say lifestyle, I mean people are buying the lifestyle that want to have, not the one they actually have. At the same time we are buying more small cars than large cars, trending to small, fuel efficient sedans and hatches, and to SUVs of all styles and sizes. So now we arrive at the reason for Mazda to release a small, fuel efficient SUV, the best of both worlds. 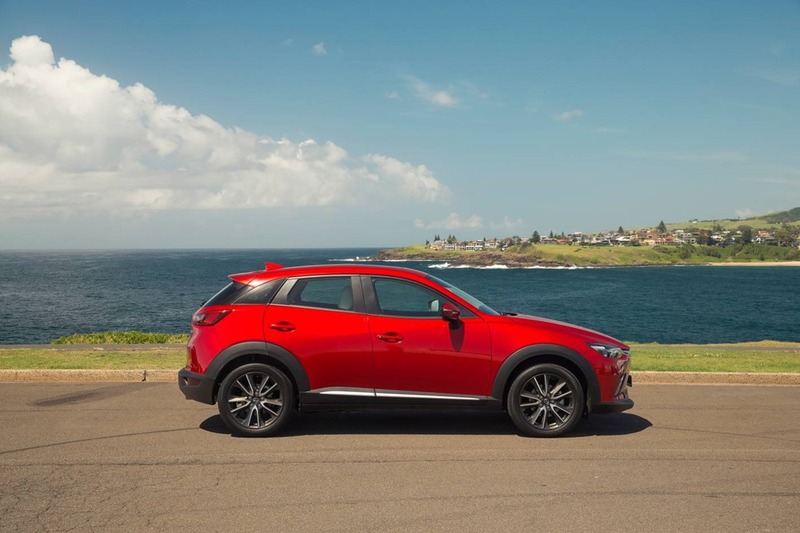 The CX 3 was launches only a few months ago and already has sold 5,535. So far so good then. 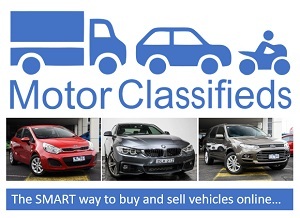 We decided to look at the vehicle looking like being a runaway success and to examine why. There is no point pretending buyers don’t look at price first and CX 3 is priced from $19,990 (Neo FWD Petrol Manual) to $37,690 (Akari AWD Diesel Auto). There are 2 engines, a 77kw 1.5 diesel getting 4.8L/100k and a 109kw Petrol using 6.1L/100k, which are linked to either a 6 speed manual or 6 speed auto driving either all wheels or just the front wheels. Rather refreshingly Mazda is offering a huge range of combinations in drive wheels, engine and transmission combos. 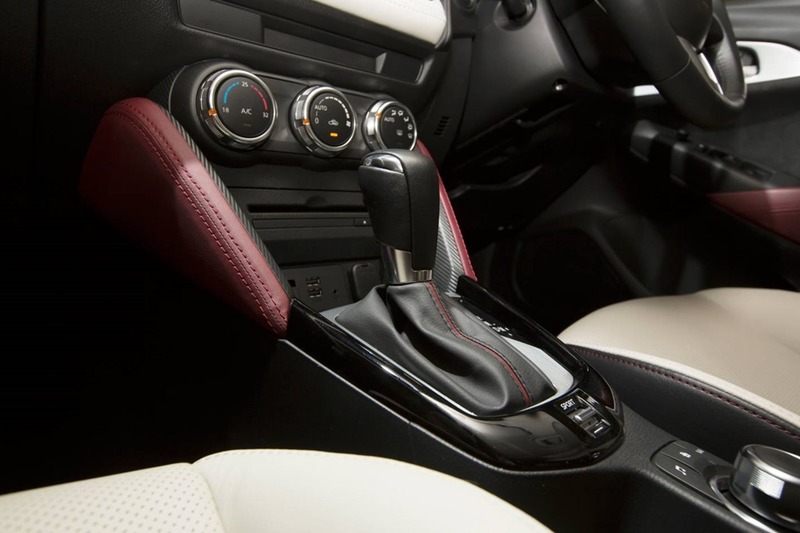 Because there are so many trim level, transmission and drive combos, we would be here all day running through how they all look, feel and drive so we will stick to some basics. Now we have done the boring bits let’s move on to the fun stuff. Cute! The proportions are perfect. They seem to suit a smaller vehicle exactly. The flowing lines of the Kodo (meaning Soul and Motion) design are meant to evoke a sensual feel and so it does. It looks muscular and energetic and has enough ground clearance for a little soft-roading should the mood take you. Although as we all know most SUVs never tackle much more than a gravel drive, the CX 3 certainly looks the business. The trim levels aren’t obvious from the outside but our Diesel base model looked a little dirty in the pearl greyish white. However colour is a matter of personal taste so moving swiftly on, let’s move inside. Most obvious is the 7” tablet-style touch screen though which the controls vehicle and audio functions. 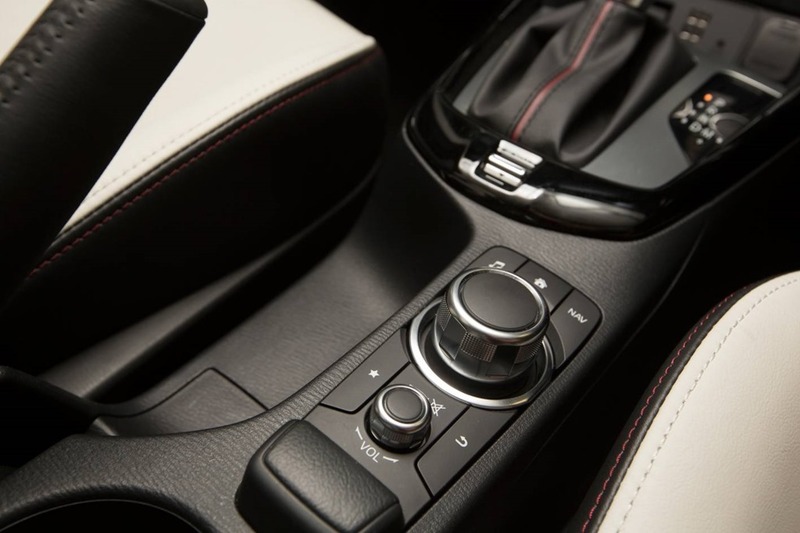 It is reasonably fast to react to commands and most functions can also be done by giving the knob between the front seats a twiddle. It looks remarkably like something you’d find in an expensive European and the only thing lacking was the scratch pad in the top of the knob. Perhaps that’s something for the midlife facelift. You have to have something to look forward to in your next car after all. The cabin ambience is something you’d expect in a car that costs more too. There are one or two places where the plastic looks a bit cheap such as the top surface of the dashboard but overall the cabin looks classy and elegant. There is stitched vinyl and leather and soft other soft touch surfaces. The steering wheel feels good in the hands and all of the controls fall easily to hand but more about all that later. The two tone effect on the seats and doors looks amazing, but all of us will find something in a car that we really like. Of all things to be fascinated with, I couldn’t take my eyes off the central vents. Most of the face level vents are the sporty circular jobs but one is almost concealed within the trim of the face of the dash. I thought it beautiful in a slightly retro kind of way. I like design that is there to function yet look pretty. The Bluetooth is super easy to navigate. As you know I always give big extra points if you can pair a phone in under a minute without having to consult the bible. We did all the usual things people want to do in their daily lives. There is plenty of room in the cargo hold for your wet gear and camping stuff so long as there is just you and your hunny. I did manage to get a bike in the back but the front passenger seat needed to be move farther forward than all but a very small person would find comfy. As a personal sports activity vehicle the size is perfect. 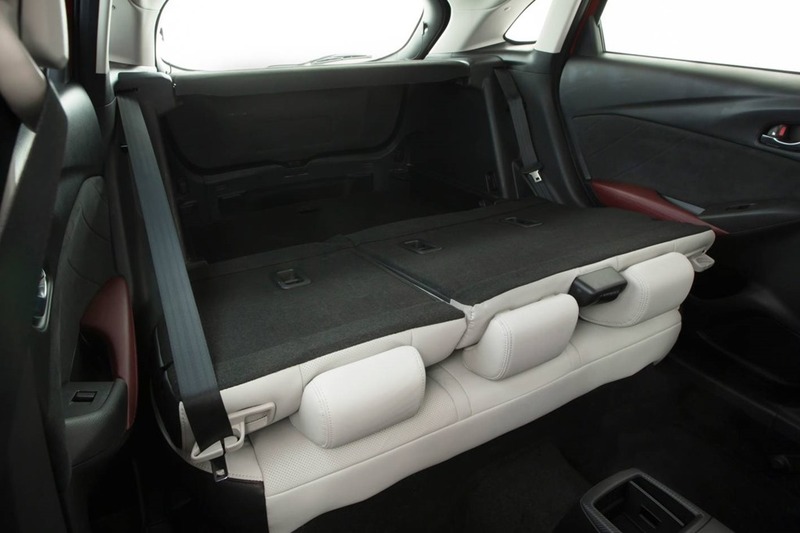 The back seats fold down with a single flick of the buttons on either side of the backrests. Doing simple things easily is a must-have if they are ever to be used as the designers intend. 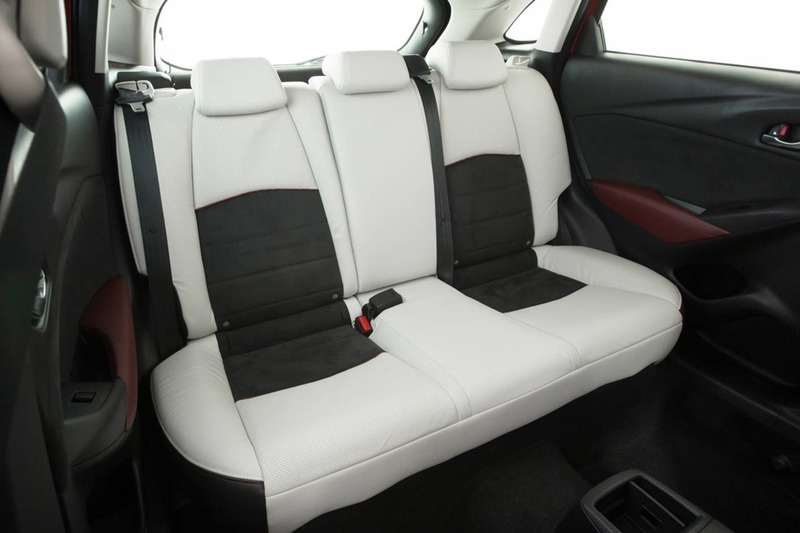 The feel of the cabin is cosy and comfy which is remarkable in a car which can be had for under 20 grand. It is hard to believe this is an entry level car. Mazda gets big snaps for keeping it real. Part of the Sky Active suite of gadgets is the stop/start function. This and other bits of Japanese cleverness give the CX 3 positively puny fuel usage numbers. 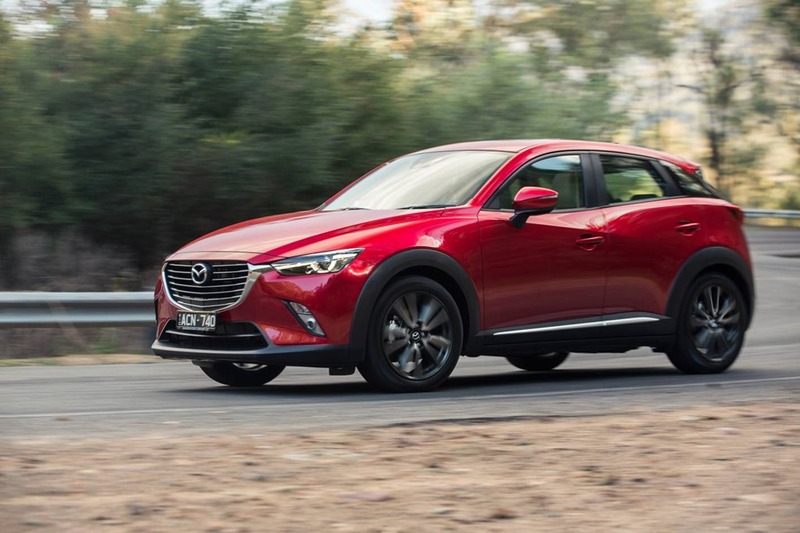 Mazda claim them to be best in class but to be fair there are not a whole lot of small or subcompact SUVs worth driving. Interestingly your fuel tank is only 44 litres in the AWD as opposed to the 48 litres in the FWD and the petrol engines will sing happily on E10. Hallelujah praise the lord! That means you can use the cheapest fuel and on the highway you even get from Sydney to Brisbane on a single tank (depending on whether or not you chose auto or manual, petrol or diesel and AWD or FWD). 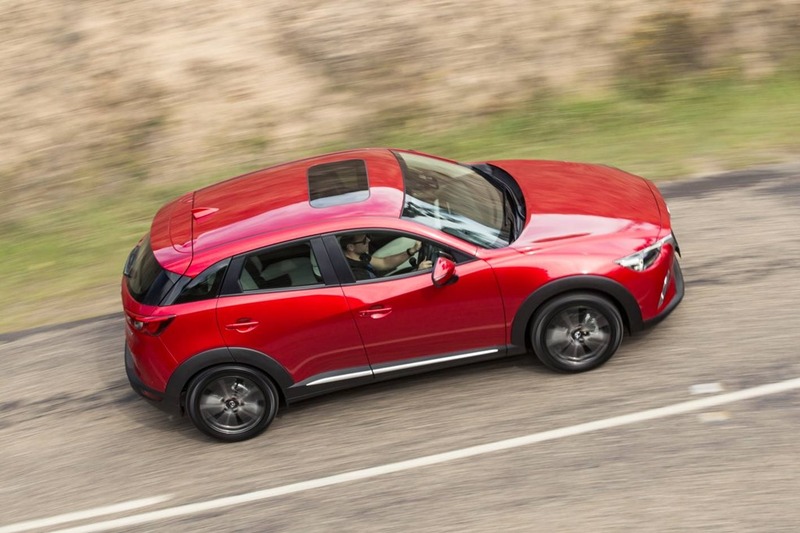 *The fuel figures may vary between models which have I-stop, automatic, manual, petrol and diesel and because the choice range is so extensive you should check the figures on the Mazda website to confirm. The site also lists the full range of features. What this means is you’re able to buy yourself a comfy all-purpose vehicle which is small but more than capable of doing a good old Aussie road trip without turning a hair. Both gearboxes are smooth and easy to use and both engines are nippy, even in traffic. The soft ride seems aimed at comfort rather than sporty handling but it doesn’t feel compromised in any way. There is a little body rolls in tight corners but you have to keep in mind you’ve selected the small SUV not the uber-fab MX5 sports car. My favourite phrase “Horses for courses” comes to mind, so you’ll tend more to a leisurely drive in the country rather than rounding mountain bends racing-style. Parking is generally easy especially in the rear camera models. It’s a doddle to get into and out of parking bays, and because the exterior is positively Lilliputian, you can park in tighter spots than you’d be able to in a bigger car. We had both petrol and diesel models and loved both engines. They felt smooth and although they aren’t exactly Arnie Schwarzenegger power-wise, the acceleration feels spritely. What this all means is you get good comfort coupled with frugal drinking habits resulting in guilt free motoring. You can go camping or shopping in a pretty car without feeling like the greenies are going to egg you the first chance they get. You can even do a road trip with a couple of bags, some pillows and a favourite blankey, and still have enough room for the ugly souvenirs and nasty shirts you gather despite your best efforts. The top model gets low speed auto braking for city use. No, we didn’t try it out. You might be surprised to find you get blind spot monitoring, cross traffic alert (warning you of traffic as you back out of parking spots) along with the auto braking on the top model (optional on other models). It is hard to believe you get such sophistication on an entry level vehicle but there it is. 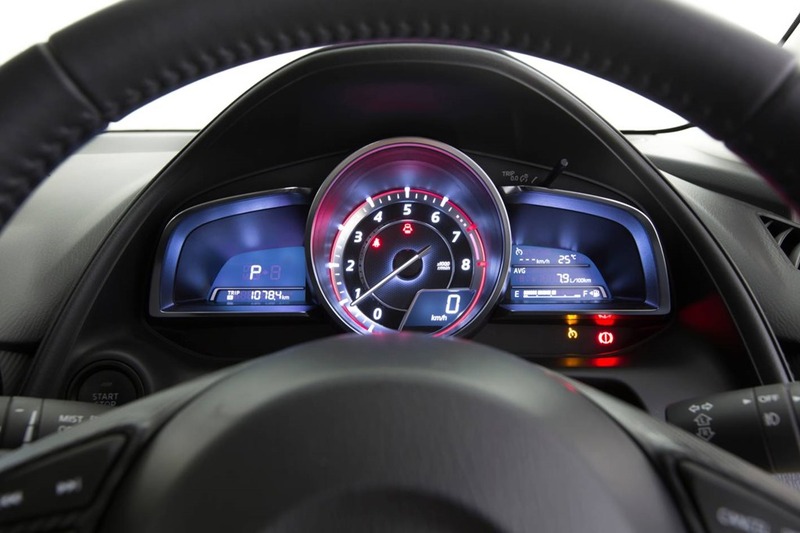 One thing to keep in mind that none of these gizmos are meant to replace good driving. They are a last resort not a first response. The drive was thoroughly engaging, and dare I say it, fun. The cabin has a cosy feel and you don’t feel foolish for driving such a small car. Some small cars make some badge-savvy blokes feel like they are driving a girl’s car. You may even feel like you have to explain that your car is being mended and you’re borrowing someone else’s, but not the CX 3. You can drive through the shopping centre car park very smugly indeed because you can do almost everything the big boys can do for less money, less fuel, and in smaller spaces. Rather more impressively it looks like you spent far more money than you actually did. You’ll recall the Holden Trax we tested a while back. You’ll remember how unimpressed we were with it. We blamed the nasty entry level feel for everything wrong with it. We said we could see no reason for a small SUV. All before it have failed badly. The drove like drays and felt more like cars from last century than anything built in the last 12 months. We are now eating those words. Whilst I’m not an SUV buyer, and prefer sporty rides, I’d happily drive one all day and all night. I had to really look hard to find something negative to say to keep a balanced review but it wasn’t easy. Would I buy one? Yes, and so would 1,300 other people a month. I’ll always prefer convertibles if there is one to be had but would be very happy to use the CX 3. I predict this will become Mazda’s biggest seller. How is that for a recommendation? The Peugeot 308 Racing Cup: Bred to Race. Who wants a go in this one?